We are offering Asbestos Jointing Fiber Sheet. With the assist of our adroit experts, we are providing a broad array of Champion Universal Asbestos Jointing Sheet. These products are made using the premium quality input which is obtained from the trusted merchants of the market. Our presented products are available in a diversity of patterns that meet on clientele demand. Application: Oil & Gas Sector,Thermal Power Stations, Cement Plants, Chemical Process Industries, etc. Our Company also provides with CAF Jointing sheet Gaskets of a variety of grades.We wish to mention that we can provide these as per the customer’s requirements ; that in the form of finished gaskets. Available in a standard size of 1.5m x 2m. Sheet size 2m x 6m available against order. 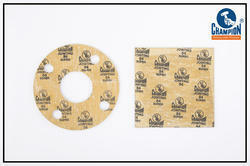 Gasket material based on Aramid fibre & organic fibre with NBR binder. General purpose grade suitable for low pressure steam, water, oils, fuels and inert gases for low stress conditions. - A Compressed Asbestos Fibre Jointing with Gauze insertion supplied with Graphite finish. Used for general Purpose application where condition of temperature and pressure Are not too severe. 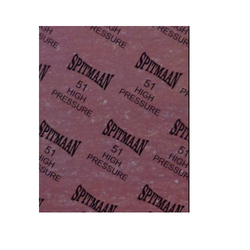 We have been involved in the manufacture of insulating and sealing materials for over 45 years now. Compressed asbestos jointing sheets developed and manufactured with overseas technical backup by Hindustan composites Ltd has been more than satisfying the needs of the industry domestically as well as overseas. We are the Stockist of Champion Make Metallic Non-Metallic Jointing sheets. The size vary from 0.5mm to 5mm thickness.